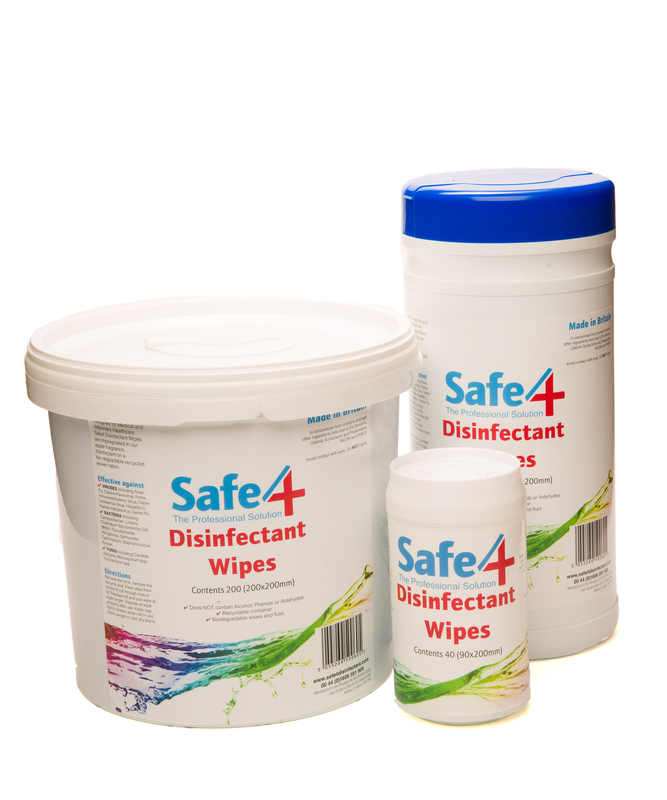 Safe4 Disinfectant Wipes are safe to use on all surfaces and protect against viruses, bacteria and fungi. Each wipe is made from bio-degradable recycled woven fabric and is impregnated with an apple fragrance disinfectant. The do not contain harmful Phenols, Aldehydes or Alcohol, and are non-toxic, non-corrosive, non-straining, non-tainting and non-irritant. Below are some recent questions we've received regarding Safe4 Disinfectant Wipes, including answers from our team. Do these wipes dry out? I am interested on comparing the cost effectiveness of these wipes compared with the 500ml spray. These seem to be a good deal as 200 should last for ages, but would like to know if they dry out (like some baby wipes do). Also, do they leave any sticky residue on surfaces? Thanks!! They do not dry out if stored in a cool place and the lid is closed properly. They are not sticky either. I am not sure that they disinfect quite as well as the spray because of the amount of disinfectant which gets to the nooks and crannies. They are good for open, smooth surfaces though.